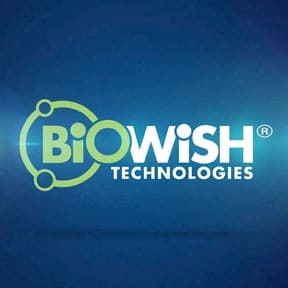 BiOWiSH is on a mission to use its unique enzymes to solve issues around the world from water pollution to eliminating the need for chemical fertilizers and reducing water waste by making it unnecessary to drain swimming pools as often. Asylum worked with BiOWiSH on two projects – highlighting the results of its product that extends the shelf life of bananas from farm to grocer and on the launch of its cyanuric acid reducing pool product. Forbes, Fast Company Co.Exist and Sustainable Brands are just a few of the media outlets that wrote about BiOWiSH during the campaign. Stats-at-a-Glance: 28 Pieces of Coverage, 1.088M Print Readership, 174M Online Readership, 201K Estimated Coverage Views. 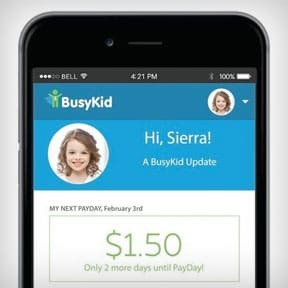 Solving the chore wars one family at a time, BusyKid is an app for iPhone and Android that helps parents teach kids the basics of personal finance while managing their chores. 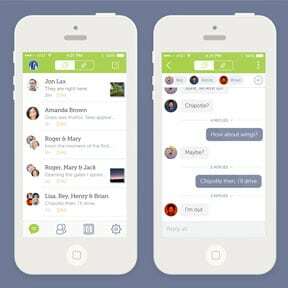 The launch of the app was supported with media coverage from USA Today, Forbes, the New York Times, CNBC, Inc., CNNMoney, Romper, Android Headlines, Macworld, Real Simple and Martha Stewart Living. Now there are 10K paid family users and counting. Stats-at-a-Glance: 187 Pieces of Coverage, 4.79M Print Readership, 1.99B Online Readership, 3.29M. Estimated Coverage Views, 73.9K Social Shares. Sand and dirt belong at the beach or in the woods, not in your car, home, shoes, or tent. 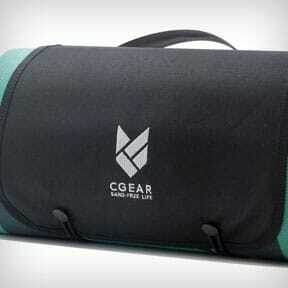 CGear mats are the perfect companion for family beach days and picnics or backwoods camping and RV trips. A campaign supporting the launch of the new Sandlite mat garnered 101 pieces of media coverage. Travel Channel, Today.com, HGTV, Mashable, Outside Magazine, National Geographic Traveler and Delta Sky Magazine all love CGear products for outdoor adventures and the new mat even earned the Good Housekeeping Seal of Approval. Stats-at-a-Glance: 101 Pieces of Coverage, 10.3M Print Readership, 824M Online Readership, 891K Estimated Coverage Views. Cold brew coffee is all the rage, but you don’t always have time to brew it overnight at home or wait in line at the drive-thru. 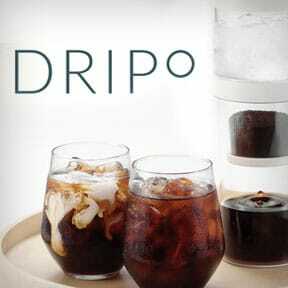 Dripo lets you craft your perfect blend of cold brew at your desk, on an airplane, anywhere really. To support sales of the Dripo cold brew coffee system, reviews and roundups were secured with Gear Patrol, HelloGiggles, Bustle, HuffPost, UPROXX, Real Simple, SmarterTraveler and BuzzFeed. Stats-at-a-Glance: 83 Pieces of Coverage, 2.49M Print Readership, 984M Online Readership, 1.53M Estimated Coverage Views, 45.7K Social Shares. Who likes ironing? It is one of the worst chores ever. Downy Wrinkle Releaser Plus eliminates the need to own an iron and when the product was re-released Asylum was tasked with reminding people of this old laundry favorite. 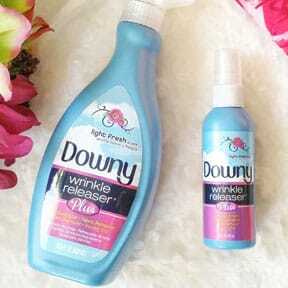 Perfect for travel, apartment dwellers and busy families, Downy Wrinkle Releaser Plus impressed reporters at Good Housekeeping, Cosmopolitan, InStyle, Travel + Leisure, US News & World Report and Vogue. Stats-at-a-Glance: 190 Pieces of Coverage, 27.8M Print Readership, 554M Online Readership, 1.69M Estimated Coverage Views, 33K Social Shares. 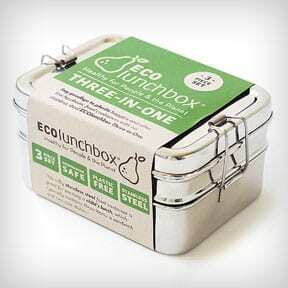 ECOlunchbox was looking for more creativity and breadth of coverage in a new public relations partner. By creating branches of the overall campaign that targeted parenting, home, travel, outdoor and green living media, the Asylum team was able to reach a wider audience. Media features include: Reader’s Digest, Treehugger, PopSugar, RedTricycle, Gizmodo, Domino and dozens of local newspapers in major media markets. Stats-at-a-Glance: 91 Pieces of Coverage, 486M Online Readership, 532K Estimated Coverage Views. 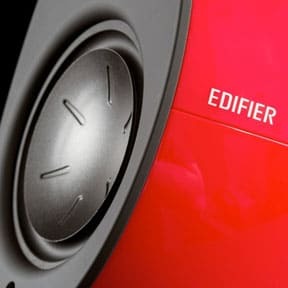 Edifier was ready to pump up the jam on its North American media coverage. 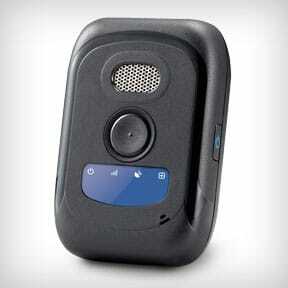 The speaker brand was well known internationally but had no brand recognition in the US and Canada. Coverage increased 300% with reviews and product features by TechCrunch, PCMag, Business Insider, Gotta Be Mobile, Outside Magazine, Audioholics, Mac Rumors, Wirecutter and Consumer Reports. Stats-at-a-Glance: 136 Pieces of Coverage, 1.6M Print Readership, 582M Online Readership, 1.39M Estimated Coverage Views, 16.6K YouTube Views. After the US branch of Innova was reabsorbed into its parent company in Europe, a full year passed with no media coverage, marketing or sales representation. The brand needed to re-establish itself as the leader in inflatable personal watercraft and introduce new products. 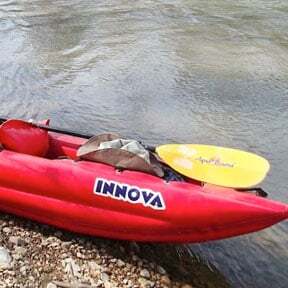 Asylum targeted key customers interested in water sports and mainstream press with features in Adventure Kayak Magazine, Popular Mechanics, Paddling Life, Boating Magazine, ActiveJunky, New York Magazine, CNBC.com and Robb Report. Stats-at-a-Glance: 55 Pieces of Coverage, 1.8M Print Readership, 188M Online Readership, 313K Estimated Coverage Views. 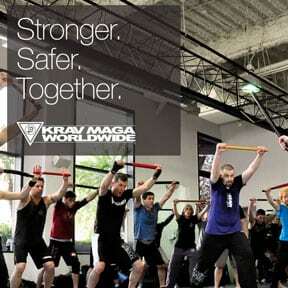 The original Krav Maga organization in the US, Krav Maga Worldwide has licensees across the country and multiple company-owned locations in the Los Angeles area. In addition to wanting to be the go-to source for personal defense advice and training, Krav Maga Worldwide also needs to maintain its brand reputation to support and attract licensees. Krav Maga Worldwide instructors have been featured on the Today Show, in Reader’s Digest, ThirdAge, Prevention, FOX News Channel Online, Forbes, Life & Style and the Los Angeles Times. Stats-at-a-Glance: 152 Pieces of Coverage, 1.31B Online Readership, 1.24M Estimated Coverage Views. 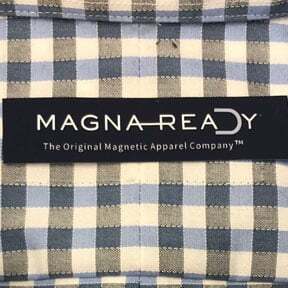 A long-time client, MagnaReady was at the forefront of the adaptive clothing movement. Inspired by her husband’s Parkinson’s diagnosis in his 40s, Maura Horton invented a magnetic closure system for clothing. Media coverage helped her grow MagnaReady from an online business to a licensed brand sold by Macy’s, DXL, Duluth Trading Company, Kohls, Men’s Warehouse, and Land’s End. MagnaReady has been seen on CBS This Morning, FOX News, CNN with Dr. Sanjay Gupta, in the New York Times, Wall Street Journal, Inc., ESPN.com, Daily Beast, People Magazine, The Mighty and BuzzFeed. Stats-at-a-Glance: 135 Pieces of Coverage, 8.2M Print Readership, 7.25B Online Readership, 9.31M Estimated Coverage Views. 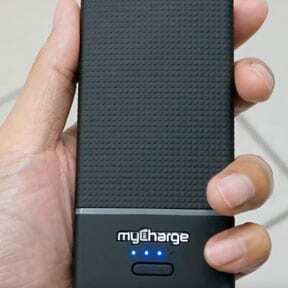 One of the leading portable battery charger manufactures, myCharge has numerous product launches and events that require support throughout the year. In addition to assisting with creating unique events and media stunts, the Asylum team manages new product reviews for the brand. Media coverage has included features in CNET, NBC News Online, iPhone Life, Time Out New York, Real Simple, Travel + Leisure, Marie Claire, The Verge, VentureBeat and Forbes. Stats-at-a-Glance: 493 Pieces of Coverage, 6.26M Print Readership, 1,833B Online Readership, 3.36M Estimated Coverage Views, 578.47K Social Shares. 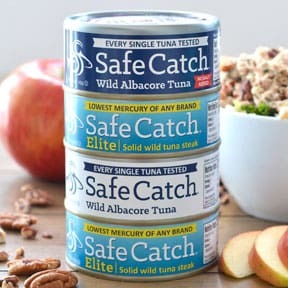 SafeCatch invented a way to rapid test tuna for mercury when they are caught, allowing them to create a brand of tuna that is guaranteed low-mercury. After establishing the brand as a competitor in the canned tuna industry, the next step was launching gourmet flavored tunas. The new line was secured coverage in Every Day with Rachael Ray, Food + Wine, TIME.com, Health, SFGate, Runner’s World, and on the Dr. Oz Show. Stats-at-a-Glance: 79 Pieces of Coverage, 2.78M Print Readership, 690M Online Readership, 771K Estimated Coverage Views. A business-to-business provider of Mobile Personal Emergency Responds devices, SecuraTrac needs to be viewed as a technology leader by a variety of industries. Asylum developed a campaign that broadcasts SecuraTrac’s products and expertise across all industries with mobile workforces in addition to the senior healthcare market. SecuraTrac has been covered by eWeek and trade publications including Construction Executive Magazine, Hospitality Technology, Hotel Business, TMCNet, Professional Safety, Becker’s Hospital Review, Security Management, School Planning & Management, among others. Stats-at-a-Glance: 98 Pieces of Coverage, 1.11M Print Readership, 2.7M Online Readership. 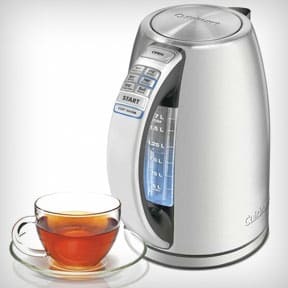 After debuting its smart home connected electric kettle in the UK, Smarter was ready to expand sales to the US. Asylum took on the project of convincing consumers to give up their stovetop kettles and standard coffee makers and replace them with appliances that could be controlled by an app or smart home assistant. To achieve this, reviews were secured with Parade, Popular Science, CNET, Forbes, Gear Patrol, PCMag, The Verge, Digital Trends, Epicurious, Mashable, Men’s Fitness and American Way. Stats-at-a-Glance: 116 Pieces of Coverage, 3.52M Print Readership, 1.09B Online Readership, 1.59M Estimated Coverage Views. Prior to launching any products, sndr wanted to establish its brand as one of the leading experts in cyber security. A series of interviews and contributed articles were secured for the CEO. And the campaign also incorporated reactive media relations, securing the CEO interviews with key media outlets after any cyber security data breaches or other incidents. Sndr has been featured by CSO Online, ITProPortal, Fortune, MSN Money, Network World, NBC News Online, TechRepublic, CNBC, Forbes, eWeek and ZDNet. Stats-at-a-Glance: 190 Pieces of Coverage, 2.66B Online Readership, 2.94M Estimated Coverage Views. Sunflare faced roadblocks created by companies that came before it and failed to create and bring to market successful CiGS thin-film solar panels. 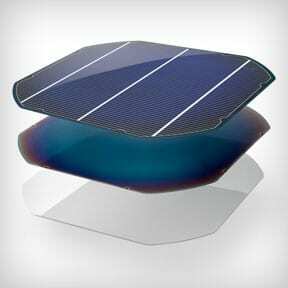 The solar industry and media were hesitant to believe that Sunflare had succeeded where so many others had failed. But, media coverage in key trade and national media outlets helped dispel any concerns. Fast Company, Sustainable Brands, Treehugger, Engadget, Net Zero Buildings, GreenBiz, Architectural Products, Inhabitat, Solar Power World, Solar Builder and Solar Novus Today have all featured the Sunflare solar panels. Stats-at-a-Glance: 147 Pieces of Coverage, 851K Print Readership, 1.53B Online Readership, 746K Estimated Coverage Views. 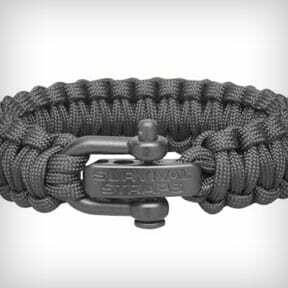 Survival Straps, makers of the original paracord bracelet, not only create products that can save you in an emergency, they also infuse some of their products with technology that can help you sleep better and improve other health functions. Messaging that spans outdoor interests, health + fitness and fashion was the secret to the success of the Survival Straps campaign. And it resulted in media coverage by Outside Magazine, FOX News Channel, Prevention, CNET, The Zoe Report, Active.com, Crave, Shape, Field & Stream and Backpacker. Stats-at-a-Glance: 180 Pieces of Coverage, 5.3M Print Readership, 5.76B Online Readership, 9.08M Estimated Coverage Views, 1.35M Social Shares. 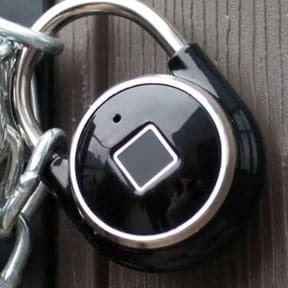 The padlock was jettisoned into the 21st century with the introduction of the Tapplock, a padlock you unlock with your fingerprint or remotely with an app. Through Asylum’s campaign this unique gadget has captured the attention of CNET, 9to5 Toys, Uncrate, Inc., TechCrunch, Men’s Journal, Real Simple, Men’s Fitness, TechRepublic and Family Circle. Stats-at-a-Glance: 111 Pieces of Coverage, 5.35M Print Readership, 1.12B Online Readership, 2.41M Estimated Coverage Views. 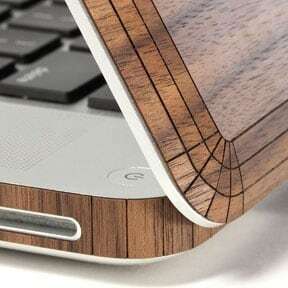 Eco-friendliness is always front of mind for Toast, a company that creates covers for tech devices out of sustainable wood instead of plastic. These customizable cases have become a media favorite after years of Asylum representing the Toast brand, and with every new device launch or Toast new product launch the admiration grows. CNET, Better Homes & Gardens, Cult of Mac, iPhone Life, Macworld, AndroidGuys and SlashGear are just a few of the fans who have featured Toast. Stats-at-a-Glance: 90 Pieces of Coverage, 2.28M Print Readership, 5.25B Online Readership, 5.98M Estimated Coverage Views. 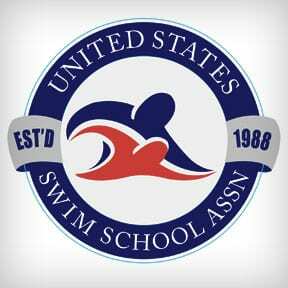 United States Swim School Association is a business association for swim schools across the country. To help raise awareness about the importance of swim lessons as a way to reduce drowning, Asylum worked with USSSA to track drownings and provide media outlets with lifesaving water safety tips. USSSA water safety messaging has been featured on the Today Show, by the Wall Street Journal, Pregnancy & Newborn, Parenting.com, AAA World, Family Circle and by local newspapers and television outlets across the country. Stats-at-a-Glance: 266 Pieces of Media Coverage, 13.79M Print Readership, 1.692B Online Readership, 3.53M Estimated Coverage Views, 246.5 Social Shares.